Looking for some extra surprise fun while crafting this summer? 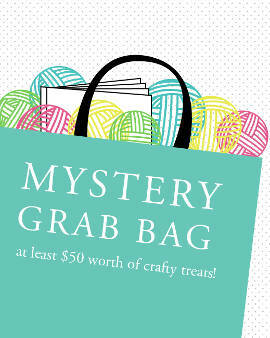 We just packed up these exciting grab bags and they are AWESOME! So many unique selections. You may even get a vintage item in your goodie bag! We have dug through the Kooler Design Studio vault and found many one-of-a-kind and out-of-print items not found on our web site, just for you. Grab bags contain at least $50 retail value for only $19.95! No returns/exchanges/refunds. This item is not eligible for free shipping.